Stand Up For Stockwell: Save the Stockwell Post Office! 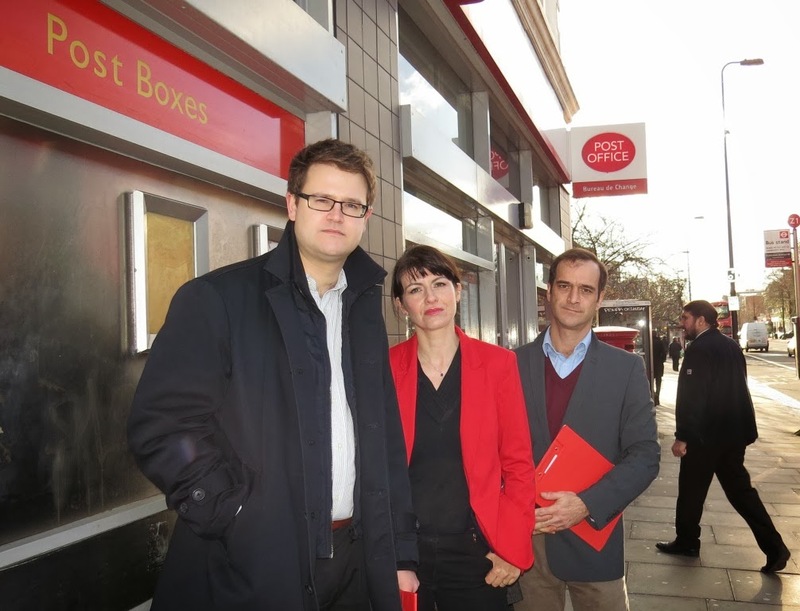 Stockwell Post Office could be closed if plans from Post Office bosses are approved. Your Stockwell Labour action team - Cllr Alex Bigham, Cllr Imogen Walker and Guilherme Rosa are completely opposed to the plans and are campaigning against them. A consultation is happening which proposes “merging” our post office with the branch on Ferndale Road in Brixton. It would mean local residents being forced to travel all the way down Stockwell Road to Brixton – a round trip that could take up to 40 minutes on foot. For many elderly or disabled people, used to relying on a local service for their savings, stamps or bill payments, that could put the service out of reach. Anyone who uses Stockwell will know queues are common and that’s only likely to get worse if Ferndale Road has to cope with extra customers. We completely oppose these plans and we have started a campaign to get the Post Office to change its mind. If you are a customer of the Post Office, let them what you think by filling out their online questionnaire at https://www.postofficeviews.co.uk/liveconsultation.php. You will need to enter the post office branch name "Stockwell".You can also share your view by post. Just put ‘FREEPOST – Your Comments’ on the envelope. The consultation closes in March so we haven’t got much time. If it goes ahead the Stockwell Post Office could close in June. For the people who rely on it, the Post Office is not just a place to post mail. It’s a focal point for our community, a place to catch up with neighbours and find out the latest news. Stockwell Post Office is a vital community resource. Let’s do all we can together to save it. annauniversityresults The stranger explains that he's the Invisible Man. This isn't much of an explanation, but it's the first time "Invisible Man" has been used in the text. So from now on, that's what we'll call him. the most valuable player one who can recruit/coexist/maintain long-term relations with other stars? And, thinking with the aid of unhealthy amounts of caffeine, if Westbrook had more of that, would he still be playing with Durant? career course after 12th analyse it from the perspective of the person in the case study and then arrive at a decision. What can I do after 12th arts and learning process which is emphasised upon so that the students get trained to deal with various real-life corporate-situations.